Do you subscribe to any book subscription boxes? No but I'd like to try one. At first most seemed to be YA themed which isn't a genre I usually enjoy but I've seen a few mystery ones lately. Any recommendations? This week's book is one I've been looking forward to for months. 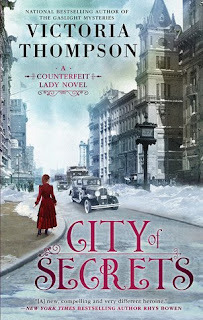 I loved Victoria Thompson's City of Lies when it came out last year and have been really anticipating the 2nd book and am so excited to have City of Secrets in my hands! So far it hasn't let me down! Elizabeth had to tell more lies on a Sunday morning at church than she ever had trying to cheat a mark out of fifty thousand dollars. I'm so happy to see Elizabeth again! I'm so curious to see just how well she fits into society. Unfortunately, he wasn't able to meet his mother's eye which made her suspicious. Never lie to your mother! She always knows! So what do you think? Keep reading? 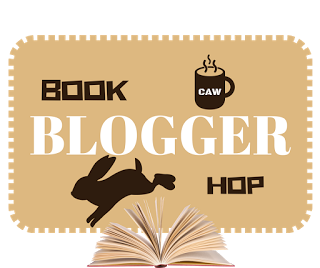 Are you subscribed to any bookish subscription books? Glad you are so excited about this new book by Thompson. She's such a nice lady. No, I haven't tried any of the subscription boxes. I'm much more inclined to do something like 'book of the month' or similar. The extra stuff would probably not interest me much. What a delightful looking book! The cover and the excerpts make me want to read more. Well, I kind of want to know why she had to tell so many lies in church, so yeah, keep reading. I'll have to look for this one too. I also enjoyed the first book. This week I am spotlighting Those Who Go By Night by Andrew Gaddes - a medieval mystery from my review stack. Happy reading! Glad to hear the book is living up to your expectations. From what I've experienced so far, I definitely recommend the OwlCrate box! I snagged a limited edition box and loved it! I have a library copy of City of Lies, which I really want to start soon. I love her other series. I remember you liked this one more than I did. I am curious is there more mystery in this one or is it still more of a romance than a mystery? There are definitely a few adult boxes floating around! There are a few I'd like to try someday too! How did I miss subscription boxes? Probably just as well, I spend enough money on books. Mothers have an uncanny ability knowing when you are lying. I hope you end up loving this one. Happy weekend! Those are great snippets. I definitely want to know why she's having to lie so much at church. BBH: I don't have any book boxes subscriptions either. Friday 56: The snippet sounds interesting. I have seen a few of those subscription boxes but well, I don't have the space to store books here. I had looked into a mystery one for my mom as a gift but didn't plunge into doing it.